We are engaged in manufacturing, exporting, and supplying of Hydro Power Plant Equipment from India. The Hydro Power Plant Equipment, provided by us, is designed as per the international quality standards to ensure its reliability. The two main components of our Hydro Power Plant Equipment are Hydro Power Plant Turbine and Hydro Power Generator. Overall, this complete product is appreciated for superb performance and smooth functioning. However, we have gained prominence particularly as a Hydro power Turbines Manufacturers in India, for its efficient performance. 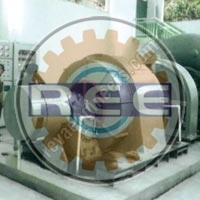 The swiftness in supplying Hydro Power Plant Equipment by Reva Engineering Enterprises, adds value to the superior quality of products. We offer Hydro Power Plant Equipment at market leading prices.